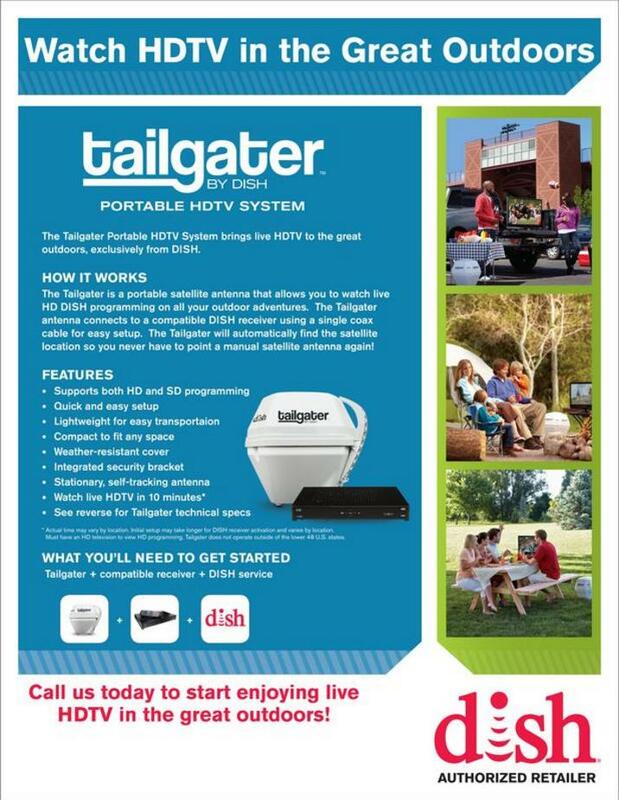 The DISH NETWORK TailGater is very easy to set-up for the non-technical user. It's great for anyone who wants to enjoy their HDTV anywhere. Also, it overcomes the Roof-Top-mounted RV system limits, because you can place it in area free from physical obstructions, like trees or other objects that block your signal. 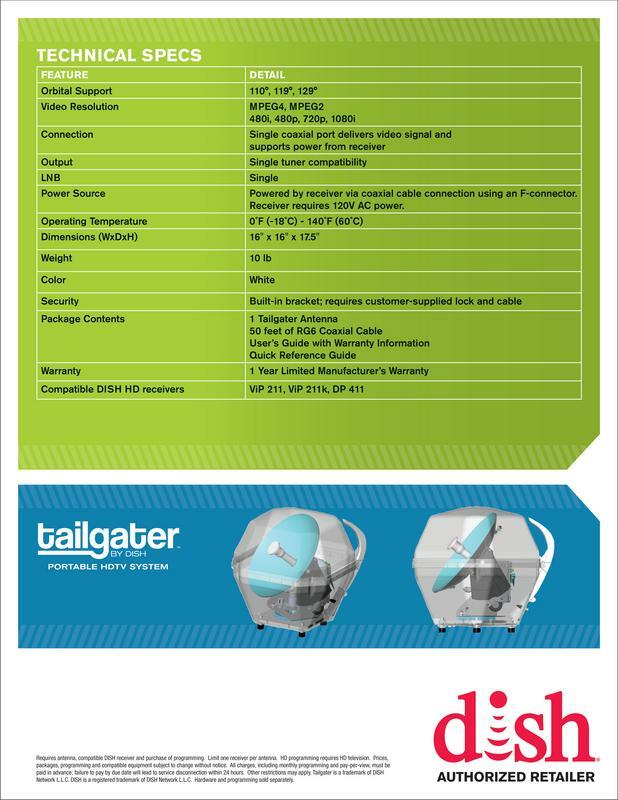 The TailGATER is PERFECT for Tailgating before and during the BIG GAME! IT'S THE MOST AFFORDABLE AUTOMATIC SATELLITE SYSTEM FOR ANY CAMPER TODAY!